Though Pelletier began the season nursing an injury sustained prior to the start of the season, he has more than made up for lost time since. 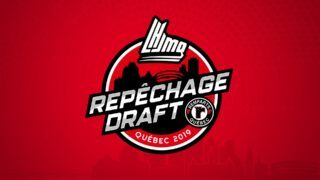 Currently riding a six-game point streak, the 17-year-old from Quebec, Quebec has vaulted into sixth place in league scoring to close out the first full month of the 2018-19 campaign. Of his nine goals scored, three have been game winners for a Wildcats squad that finds itself battling for top spot in the QMJHL overall standings as the calendar turns to November. Additionally, his +16 rating places him atop the league leaderboard in that category. 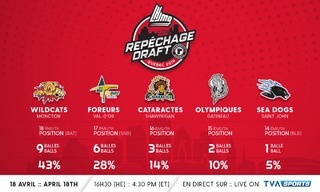 Pelletier was drafted third overall by Moncton in the 2017 QMJHL Entry Draft. Eligible for the 2019 NHL Draft, the second-year winger is already building off a rookie season that saw him notch 61 points in 60 regular season games. Much like the Wildcats, the Drakkar remain in the hunt for top spot in the league, in large part thanks to the contributions of Chekhovich. Currently tied for fourth in scoring in the “Q”, Chekhovich has already notched a pair of five-point games. The 2017 San Jose Sharks draft pick has also been named the League’s Player of the Week on two occasions. Earlier this week, he added the CHL’s Player of the Week Award to his trophy case. 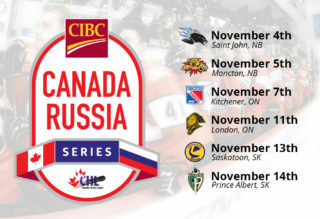 Chekhovich, who hails from Yekaterinburg, Russia, will represent his country at the CIBC Canada Russia Series, taking place later this month. Bergeron is on pace to shatter his previous personal bests for goals (9) and points (30) in a season in the QMJHL. The 18-year-old from Magog, Quebec sits tied for fourth among all defensemen in scoring, while his +14 rating places him third. Bergeron is also a leader on a Huskies defensive corps that has surrendered the fewest goal in the league (41) as the calendar flips to November. 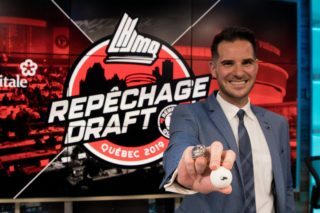 Bergeron, who recorded points in six straight games to start the season, was selected by Rouyn-Noranda in the fourth round of the 2016 QMJHL Entry Draft. Additionally, the third year Huskies rearguard attended the Boston Bruins NHL training camp earlier this season. D’Astous currently leads all QMJHL defensemen in scoring, which includes the impressive feat of registering an assist per game pace through the first full month of the season. A consistent threat, the 20-year-old from Rimouski has recorded points in 10 of the season’s first 14 games, including multiple points in seven games. D’Astous is a commanding presence in enemy territory, averaging two points per game (12Pts in 6GP) on the road to start the year. The Moncton Wildcats currently rank first in the league in goals scored. They also find themselves in the top five in fewest goals allowed. Few players epitomize this style of play better than defenceman Jordan Spence. The 17-year-old from Cornwall, PEI has hit the ground running in his initial QMJHL campaign, sitting tied for second among rookies – and tied for fourth overall among all defencemen – in league scoring. Spence recently produced a five-game point streak that saw him notch seven assists, while both of his goals have come as a triggerman on the powerplay. 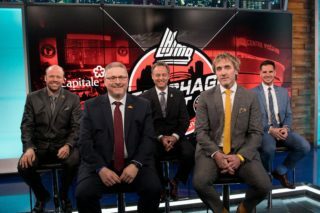 Spence, who was selected by Moncton in the second round of the 2018 QMJHL Draft, spent last season with the Summerside Western Capitals of the MHL, where he captured that league’s Rookie of the Year honors. Lapierre has certainly lived up to the hype after being drafted first overall in last June’s QMJHL Entry Draft. 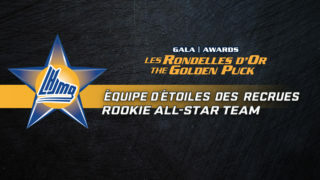 The 16-year-old from Gatineau, Quebec finds himself tied with fellow honoree Spence for second in scoring among league rookies. Held off the scoresheet just twice so far in his young “Q” career, Lapierre has registered four multi-point games, a pair of powerplay goals and two game winners so far this season.